Meagan reading (https://flic.kr/p/2wGq6) by Christopher Cotrell (https://www.flickr.com/photos/qousqous/) used under a CC-BY license (https://creativecommons.org/licenses/by/2.0/). 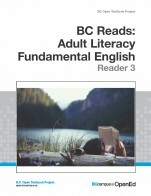 BC Reads: Adult Literacy Fundamental English - Reader 3 by Shantel Ivits, Vancouver Community College is licensed under a Creative Commons Attribution 4.0 International License, except where otherwise noted. There is an effective and easy to understand table of contents at the beginning. The units and stories in this reader are tied to the Level 3 Course pack and cover three themes: Mysteries in BC History, Snapshots of Culture in BC and Wild BC. The content is high interest stories for adults with engaging photographs, plenty of white space, and clear, easy to read font. Word pattern vocabulary is bolded and tied to activities in the course pack. The content is relevant to current Adult Literacy Fundamental English (ALFE) BC provincial learning outcomes for Level 3. The stories are engaging and provide lots of opportunities for rich discussion. They also serve as a launching point for further research into the topics incorporating computer skills and practice into lessons. The text is clearly written in plain language suitable to fundamental level learners. There is the right amount of whitespace. The colour photographs break up the text, and when photocopied in black and white still come out clear. The layout and terminology is consistent throughout, and with the accompanying course pack. The three themes are: Mysteries in BC History, Snapshots of BC Culture, and Wild BC and they work well together. Each of the three units features three stories that could be broken into nine separate stories, and be used separately with the accompanying exercises and activities in the course pack. I have used them as a collection all together in one book, and this has worked well for students. This Level 3 reader has 9 original high interest stories written specifically for adults. Stories include: Searching for Sasquatches, The Shooting of Ginger Goodwin, The Gentleman Bandit, Altogether Now: BC Festivals, Bold and Bright: Sook-Yin Lee, Spread the Word: First Nations Languages in BC, The Rare Spirit Bear, The Journey of the Salmon, and Spy-Hopping with Orca Whales. The stories are presented in a logical, clear fashion. 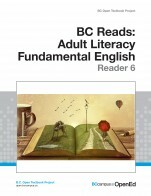 This reader accompanies the BC Reads: Adult Literacy Fundamental English – Course Pack 3. It is one of a series of six readers. This is the first of the series I have used, and I look forward to trying Levels 4-6. The variety in sizes of headings and subheadings works well. At first students found navigating between the course reader and the course pack a little challenging, however they soon got used to it. In my experience having the course pack separate from the course reader makes it easier to photocopy sections. The images and photographs are clear and enrich the students' experience. The themes of the stories are relevant to a variety of diverse cultures. The first unit has a story about Sasquatches, which encouraged a very interesting discussion among students of different cultures. It also served as a jumping off point as students were keen to do further research on the subject. 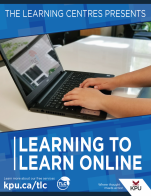 My original plan to use this reader and course pack in my literacy class was to have them access it online through our campus online Desire 2 Learn (D2L) program, but this proved to be too challenging and frustrating for students. I have been using it in paper format instead and this is working well for students at ALFE level 3. The stories are written from a progressive Canadian perspective using a BC context. 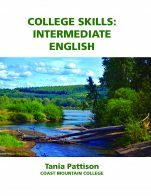 I recommend this reader and accompanying course pack for use in literacy classes in the post secondary system as well as community adult literacy programs. The reader contains nine stories based on the themes Mysteries in BC History, Snapshots of Culture in BC, and Wild BC. They are written specifically for adults at Adult Literacy Fundamental English (ALFE) level 3, and the words in the stories are level appropriate. New vocabulary and word patterns are bolded throughout each story making reference to those taught in the accompanying course pack. They are then reiterated at the end of each story for further reinforcement. If I were to use the reader as a standalone, I would introduce the words and word patterns first and then have students read the story. There is an effective table of contents at the beginning of the reader. The author has used themes and pictures that are relevant to adult literacy learners. The content is accurate, error-free and unbiased. 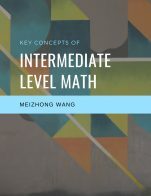 The text is written in plain language and at an appropriate level for the ALFE level 3 student. The pictures are vibrant and help with the context of each story. The reader is divided into three themed units with three stories in each. The reader can easily be divided into nine separate stories that could be assigned at different times in the course. Each story is written independently. The reader contains nine stories based on three different themed units. The first unit theme, Mysteries in BC History, includes the following stories: Searching for Sasquatches, The Shooting of Ginger Goodwin, and The Gentleman Bandit. The second unit theme, Snapshots of BC Culture, includes the following stories: All Together Now: BC Festivals, Bold and Bright: Sook-Yin Lee, and Spread the Word: First Nations Languages in BC. The final unit theme, Wild BC, includes the following stories: The Rare Spirit Bear, The Journey of the Salmon, and Spy-Hopping with Orca Whales. Though the stories in the reader are independent of each other, they are presented in a logical and clear fashion. The font size and pictures in Reader 3 (print version) are appropriate for adult literacy students at this level. The font size and line spacing in the online view can be adjusted if needed. Engaging themes are used throughout the stories that are inclusive of a variety of races, ethnicities, and backgrounds. The author has done a remarkable job making sure the reader and supplementary course pack work well together. The combination of the reader and course pack meet all of the BC ALFE provincial level 3 articulation outcomes. The review of Reader 3 is based on the print version printed by SFU Document Solutions and not the online version.